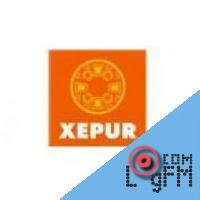 Description: XEPUR-AM (La Voz de los Purépechas – "The Voice of the Purepechas") is an indigenous community radio station that broadcasts in Spanish and Purepecha from Cherán in the Mexican state of Michoacán. It is run by the Cultural Indigenist Broadcasting System (SRCI) of the National Commission for the Development of Indigenous Peoples (CDI). Advertising: . roulette vegas At LogFm.com you can listen to any of the 45,000 radio stations online. We have made it easy for you to find your favorite radio, listen to the music you like, find the best new songs, listen to the latest news, etc. Simply type the station name in the search box and enjoy your choice. Listen to the radio online at LogFm.com. Our E-mail: info@logfm.com. Live XEPUR (La Voz de los Purépechas). Rock and pop music, to listen to the latest news online.All rights reserved. 2009-2019 © LogFm.com.